Hybrids make a lot of sense for lower mileage drivers and those who sit in traffic. This is where you'll get the benefit of running on electric power only, while the petrol engine means you can still cover longer distances. Here are the top 10 most popular on the site. 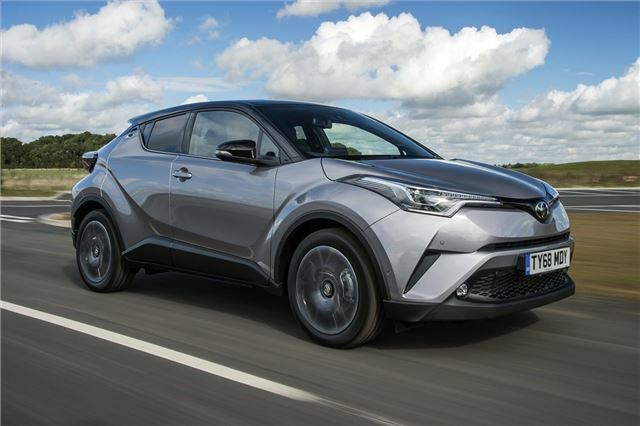 The Toyota C-HR combines bold looks with low running costs and a reputation for reliability, so it's no wonder it's proving popular on our website. It's also great to drive and feels like it will last forever. Combining a 1.8-litre petrol engine with an electric motor, the C-HR hybrid officially returns between 55.3 and 57.3mpg - and our Real MPG data suggests that's fairly realistic. It seems that car makers are determined to make electric cars as worthy and dull as possible. With the exception of the eye-wateringly expensive Tesla all the above cars look as dull as dishwater. Where are the coupes and convertibles? With their low range and high prices electric cars are already unappealing, looking at them is just depressing. What you want ? Fins? No, just something at least mildly interesting and, dare I say it, fun. I can't believe that a Tesla is more popular than a Toyota Auris Hybrid. Who compiles these lists? Fancy selling a car that you cannot refuel? Are there mad motorists out there? I suspect so looking at this list of over priced tinware. So what is the real mpg? These do not make economic sense to a person paying from their own pocket.High milers will buy diesel and average milers will buy petrol for cheap maintenance. Taxis will buy up every second hand Prius as they do now. What about all us peasants who have a house with on road parking only. Can I run an extension lead across the pavement to charge a car overnight? Oh no, someone has fallen over the cable and is sueing me! London boroughs are now installing charging points in electric lamp posts along the street. I expect the rest of the country won’t be far behind. Typical ignorance above where people don't know the difference between a hybrid and an electric car! Anyway cars don't come much duller looking than a Golf or Audi A3 Sportback (I've got one) but they are incredibly highly thought of.